Dropzone Festival has been confirmed for Bangkok this spring, bringing EDM, techno, trap and trance to the Thai capital on Friday 2nd and Saturday 3rd March 2018, at Wonderworld Extreme Park. Far from your average event, a strong concept runs through the offering, which should appeal to fans of dystopian science fiction. Setting the scene in the city it calls home, in the years 2018-2022, the idea is to create the first ‘real-life MMORPG’ party, combining elements of video games, cinema, graphic novels, and music. There will be three stages set up within the venue, which takes on the role of a fortress protecting attendees from dark forces lurking beyond its walls now that civilization has broken down. 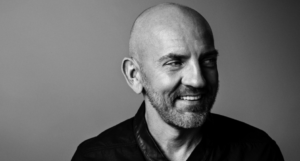 Spread across the arenas will be the likes of Sven Vath— who has just been confirmed for Tomorrowland in Belgium, Paul Van Dyk— this month’s DJ Mag North America cover star, Marco Carola, Pan-Pot, A-Trak, Cosmic Gate, and Xhin, to namecheck a handful, with more names set to be announced. Tunes aside, there will be laser games, VR activites, various food offerings, and daybeds. Early Access tickets start at 3,500Baht, which roughly works out at £80GBP, although there are a number of different passes available— for details and bookings here. Dropzone will move on to an as-yet-undisclosed city in another country following the Bangkok edition, continuing its story through to 2027, before heading to a further three locations to finish the epic tale. Grandiose plans indeed, Switch Audiovisuals— responsible for tech at Sonar Barcelona— leading production design firm Ledscontrol, Zouk Singapore and Amnesia Ibiza are amongst the crews involved.